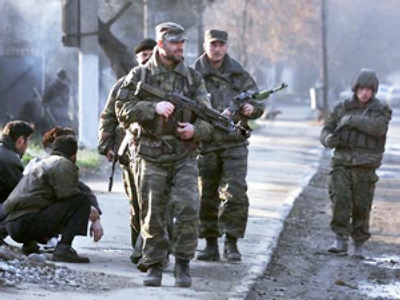 Police in Russia's southern republic of Dagestan have killed five militants including two terrorist leaders in separate ambushes on the region's insurgent groups. One of the militant leaders was gunned down when police stormed a house known to be a terrorist hideout. The other was killed in a car carrying explosives, which detonated during a shootout. A counter-terrorist operation regime, which means to restrict the movements of people and transport, has been introduced in the area of the republic’s capital, Makhachkala, where the incident took place. Earlier this week in Dagestan, five Russian officers died in an attack on a traffic police station. On Wednesday, a suicide bomber drove into the depot, but was stopped when police rammed his car, causing it to explode. Twenty four were injured, but officials said there could have been more victims if the officers hadn't sacrificed their own lives. The Russian president recently called for a crackdown on militants in the region, which has seen an increase in violence in the past year.